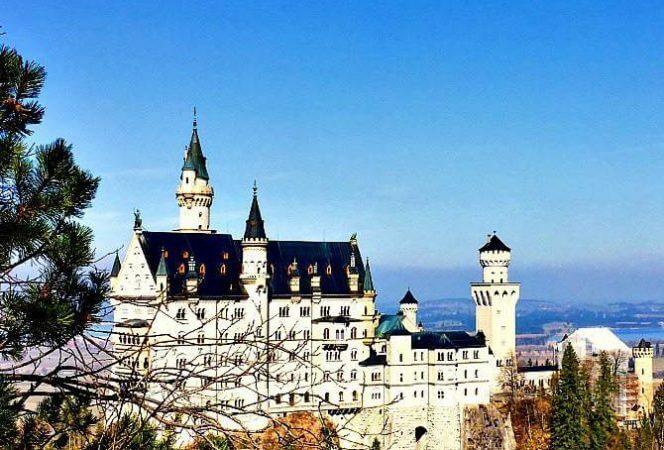 As we continue with our Holiday Celebrations Around the World Series, we have Jen from Word Traveling sharing her thoughts on Christmas in Germany. 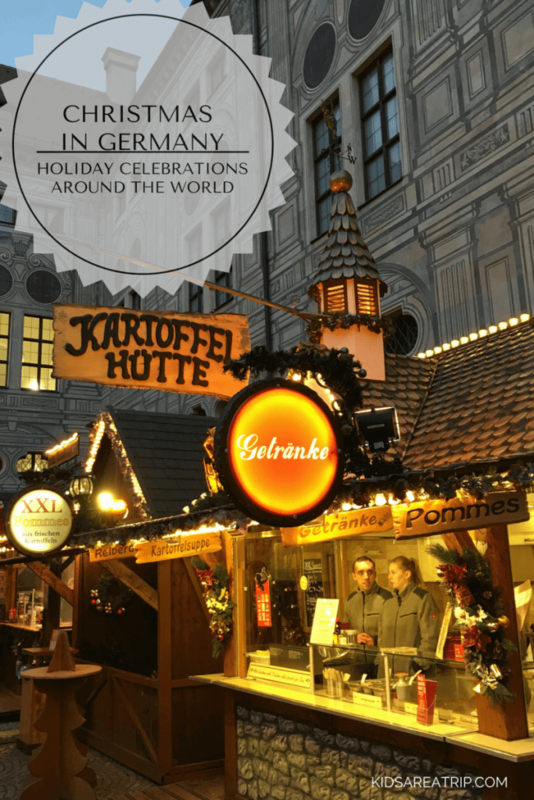 Since we just returned from two weeks exploring the Christmas markets in Germany, I am happy Jen is sharing some of the background and history that surrounds the German holiday traditions. 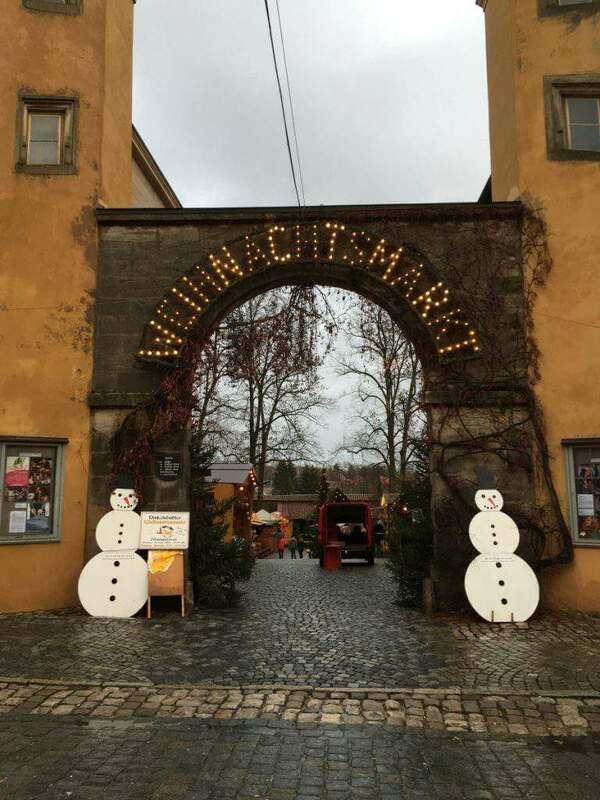 We enjoyed strolling the different markets, sampling the lebkuchen and glühwein, and shopping for traditional handicrafts such as wooden ornaments and paper star lanterns. Everything about the experience was magical! One of the most memorable holidays we’ve ever spent was the Christmas we lived in Germany. As a mom bundled up with my baby in sling under my coat, I felt like I’d walked straight into a fairy tale every time we stepped out into the cold. The lights, the sparkle, the charm of the old towns somehow just spoke to my soul. My family is from Germany. My grandfather was an American soldier (a German translator) during WWII where he met my grandmother, a young and beautiful German girl from Frankfurt. Two years later, my mom was born there. Bringing mom to return to Germany over 60 years later was one of our life’s highlights. I only wish she could’ve visited a Weihnachtsmärkt. To experience Christmas in Germany, you must understand that festivities center around Advent, the the time of preparation for the coming of the Christ Child. Lights are everywhere in the town squares! During the reformation, Martin Luther replaced the fictional Christkindl (the Christ Child) for Saint Nicholas as the bringer of nighttime gifts, and the legend of the “visitation” of the jolly man who came delivering gifts was moved from December 6 to Christmas Eve. Christkindl morphed in English to to became pronounced Kriss Kringle, and now is often thought of in America as another name for Santa Claus. Traditional Christmas markets have been set up in Germany for centuries as a place to sell and trade handicrafts, decorations and to share with their community the celebration of the season. When we visited one of the most fabulous Weihnachtsmärkts, in the town of Bernkastel-Kues in the lovely Moselle region, there were even small carnival rides set up for children. We sipped Glühwein (warm red wine with mulling spices) and toasted the season and each other as we indulged our senses with the sounds of carolers and the scents of fresh roasted chestnuts and mulling spices. The center of the market in most towns, is the giant pyramid of lights and carvings that revolves like a merry-go-round and depicts the Christmas story, complete with angels, wise men, and of course, Baby Jesus. These pyramids, or Weihnachtspyramide, much like the famous nutcrackers, originated from craftsman toy makers, and eventually spread as a popular Christmas decoration. Our Weihnachtspyramide and red nutcracker just went on display yesterday to help us celebrate the season. Now, if I could only bring home some of those charming half-timbered buildings and snow (we live in South Florida,) it would really feel like a German Christmas! 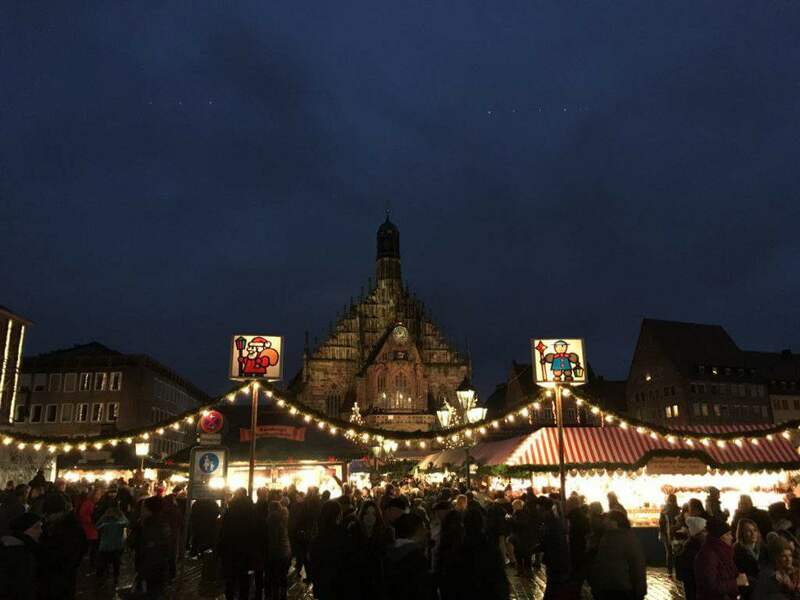 For more great info on Christmas in Germany, Jen recommends Paradise Praises. How do you celebrate Christmas traditions? 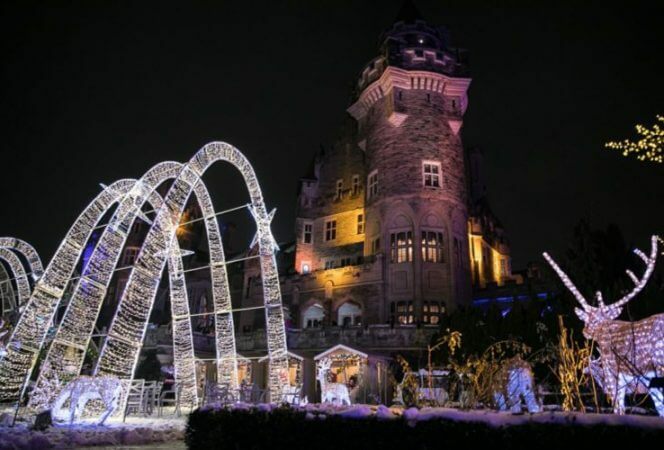 Don’t forget to check out our other Holiday Celebrations Around the World Posts! We’ve been to Sweden, London, Japan, India, and Mexico! 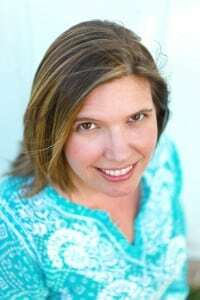 Jen Reyneri is the founder of The Faith & Family Travel Community Word Traveling and the Educational Travel Guroo for Trekaroo. She is passionate about poetry and raising the next generation of leaders along the roads of life and on the road. 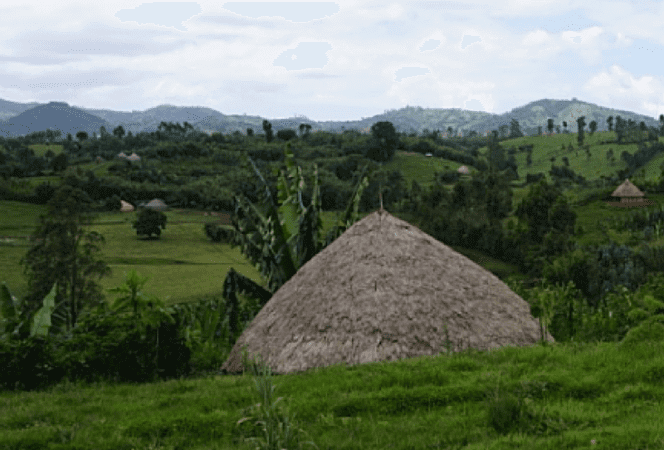 Jen helps families travel creatively for faith and education, on a budget and on purpose.